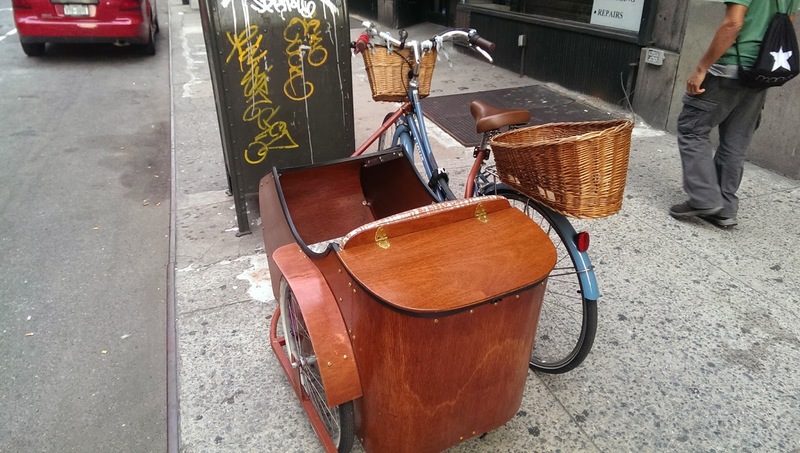 This awesome bicycle was spotted on 30th street between 7th and 8th avenue. 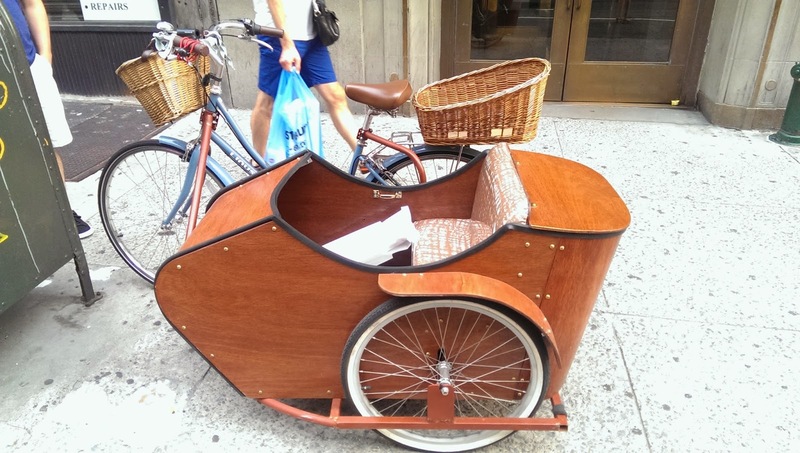 It is of course not an ordinary looking bike; all decked out with a wooden sidecar and front and back baskets. This bicycle is made by Linus and is the Dutchi 3 Limited Edition model. It is certainly accessorized to carry as many things as possible. Posted in biking, chelsea . Bookmark the permalink. RSS feed for this post. 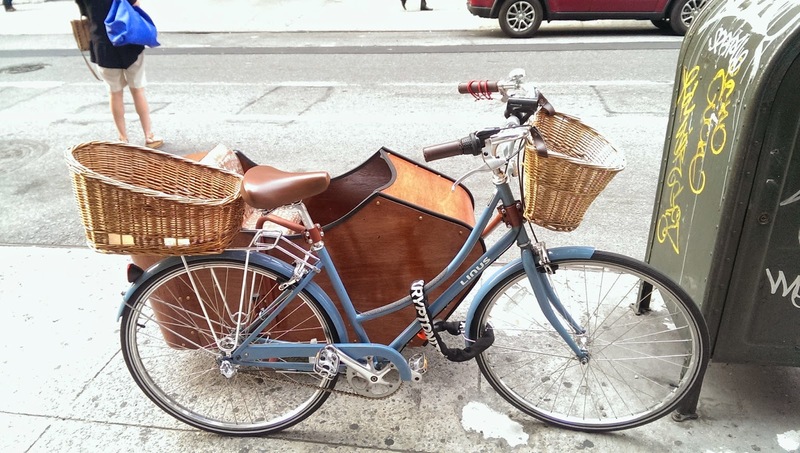 I built this side car with the amazing George Bliss at Hudson Urban Bicycles in summer 2014. It was a great challenge. Great to see interest in it!! Do you have the plans for this beautiful sidecar?